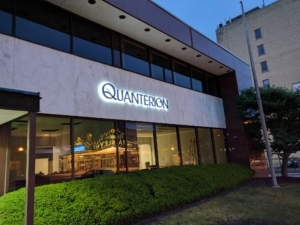 Quanterion has expanded its operations by relocating its headquarters from its 12-year home at the State University of New York (SUNY) Polytechnic Institute to its recently acquired and renovated facility in downtown Utica, NY. President Preston MacDiarmid said that the facility ar 266 Genesee St. of more than 17,000 square feet is better suited to the company’s accelerated growth and upcoming strategic plans. The company, now numbering more than 80, also has staff in Rome, NY; Albuquerque, NM, Jacksonville, NC and the National Capital Region.